April 23rd, 5:30pm-7:00pm: Tri-Cities Networking Event. Located at Cinema Greens, 1557 St. Joseph Ave. Free to attend with business card. Great networking event. Light refreshments provided. April 23rd, 7:00pm-8:30pm: Filming 101 Session. Located at Cinema Greens, 1557 St. Joseph Ave. Free to attend. Great networking event for industry professionals and individuals looking to learn more about filming opportunities. 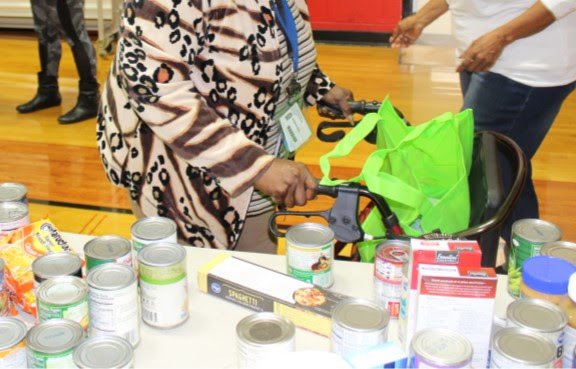 New Items Posted By Schools Weekly! Make a Wish Come True for a Local Public School! 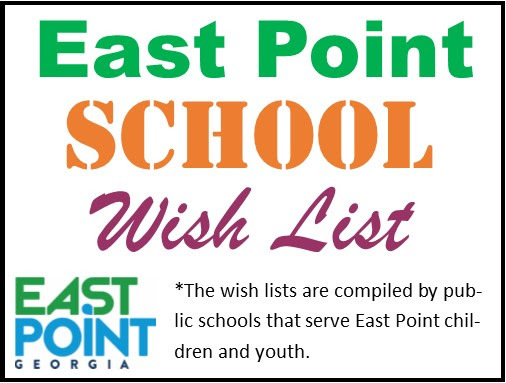 The “East Point Holiday Wish List for Schools" allows businesses and organizations to scroll thru a list of needs prepared by the schools and simply sign-up for a request that they would like to fulfill on behalf of their organization, as an individual or both! All of the schools are located in East Point and/or serve East Point students. Direct contact information for each wish list item from the various schools is listed next to the request so that coordination for drop-off of the items, and/or clarification of specifics relating to the request, can be handled quickly and efficiently. Visit https://www.signupgenius.com/go/20F0A44ACA928A02-east1 to fulfill a wish! Please join us Thursday, May 2nd for the 2019 Tri-Cities Small Business Fair at the GICC. This year's event will include speakers from local businesses sharing tips, tricks and ideas that have helped them succeed. 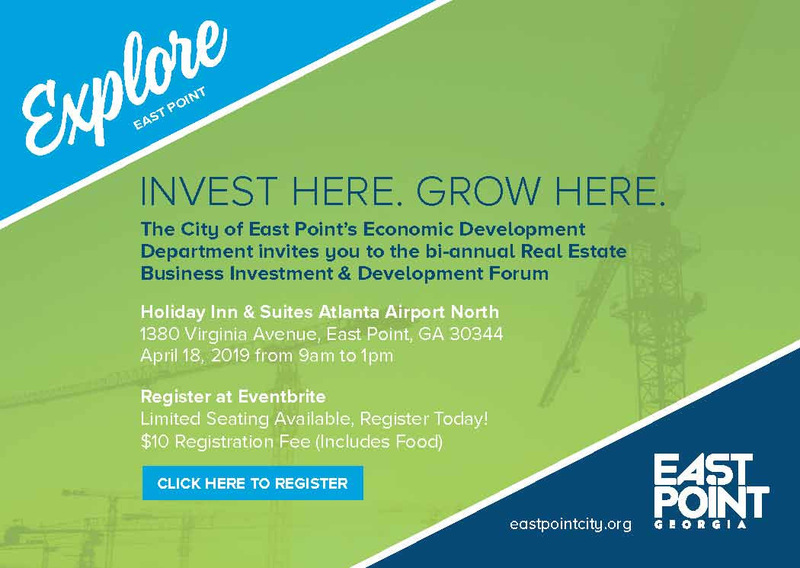 The Departments of Economic Development from the cities of College Park, East Point and Hapeville will be attending so you can find out how to do business in and with the local municipalities that make up the Tri-Cities. The $15 ticket price will include general session admittance, parking, breakfast, and lunch. This year there will be two breakout sessions as well. For a small fee, you can take a deeper dive into topics that have been identified as critical to not only small businesses, but all businesses. Mark your calendars now for the premier southside small business event of the year! Registration is now open here: https://tricitiessmallbusinessfair2019.eventbrite.com . 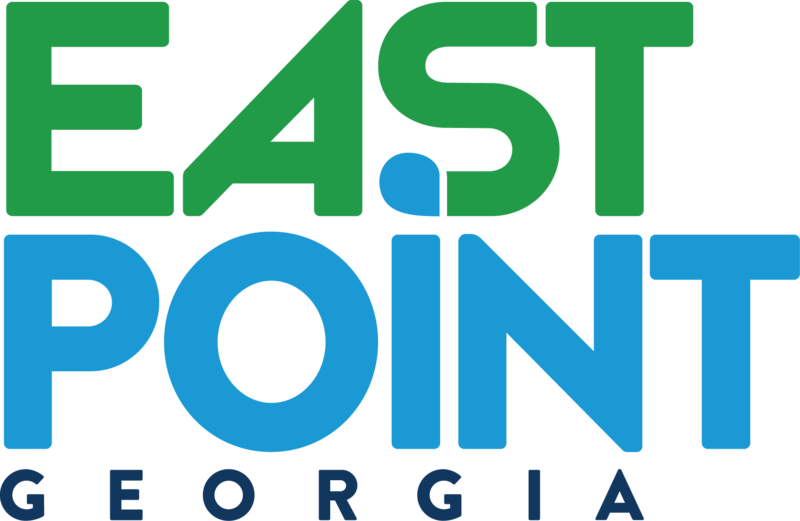 For sponsorship information, please visit: https://www.eastpointcity.org/wp-content/uploads/2019/03/Small-Business-Fair-Sponsor-Letter.pdf . 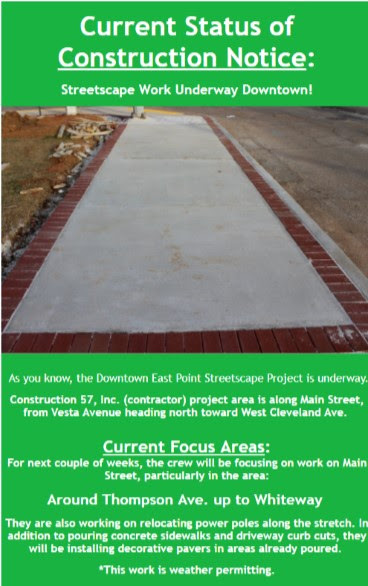 Know anyone interested in investing/developing in East Point? Then send them information about this event on April 18th, 2019! Tickets are only $10 (Includes Food), **Very limited seating available - Register today! serve their community service hours.